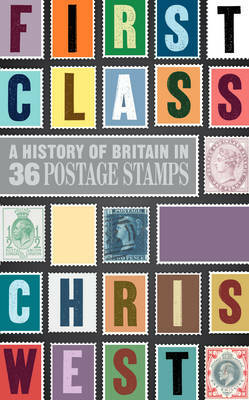 This isn't and doesn't pretend to be book about stamps; the stamps are used as pegs upon which to hang aspects of the history of Britain from Victorian times to the present day. If it was about stamps only, author Chris West would have had no trouble seeking out a better copy of the Victorian 4s red of 1867 than the one used to illustrate the increase in global trade and expansion of empire which required the General Post Office to issue this and other high value stamps. Britain's trade into China was difficult, the Chinese maintaining that “Our Celestial Empire possesses all things in prolific abundance and lacks no product within its own borders. There is therefore no need to import the manufactures of outside barbarians in exchange for our own produce.” So Britain took opium from the hillsides of India to China, and after a couple of wars, Britain gained the island of Hong Kong, and that chapter is illustrated with a Hong Kong 5c stamp. The inter-war years of inflation, depression, jazz and modernity are illustrated with a German 2 million mark surcharge, the Silver Jubilee issue, and King Edward VIII's definitive. So the story of Britain is not only about Rowland Hill, Disraeli, Gladstone, Churchill, but includes Dickens, Brunel, Bazalgette (sewers), Tommy Flowers (Colossus), Stephen Tallents (GPO PR and after whom Tallents House is named), John Lennon, Edmund Dulac, and many others, some of whose names may be unfamiliar but who add to the story of Britain since 1840. Of course many people have been omitted but in 250 very readable pages not everybody could be included. Well worth a read. I borrowed it from the public library, as the house is full of books and I have not yet read more than a fifth of last year's Christmas present Masters of the Post: The Authorized History of the Royal Mail. 272pp, Square Peg, £16.99* ISBN 978-0-224-09546-4 *Cheaper on Amazon and elsewhere. Signed copies are £15.99 - stock code VA246 - postage extra in both cases.